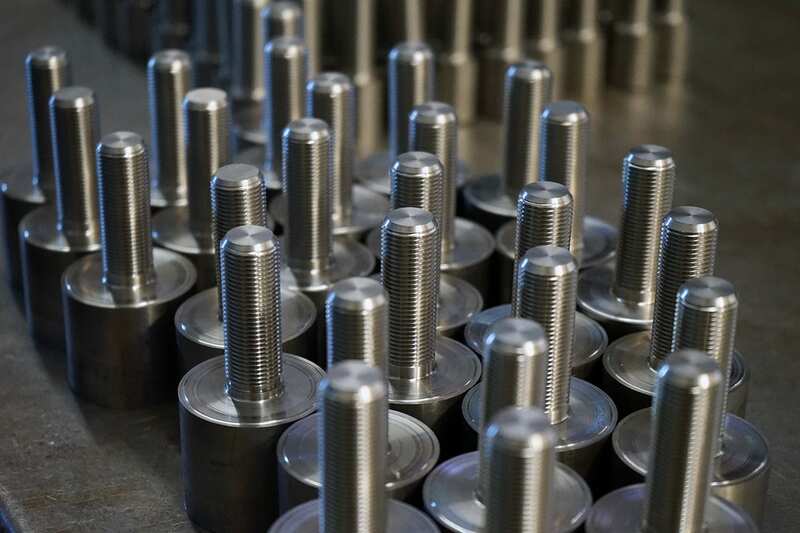 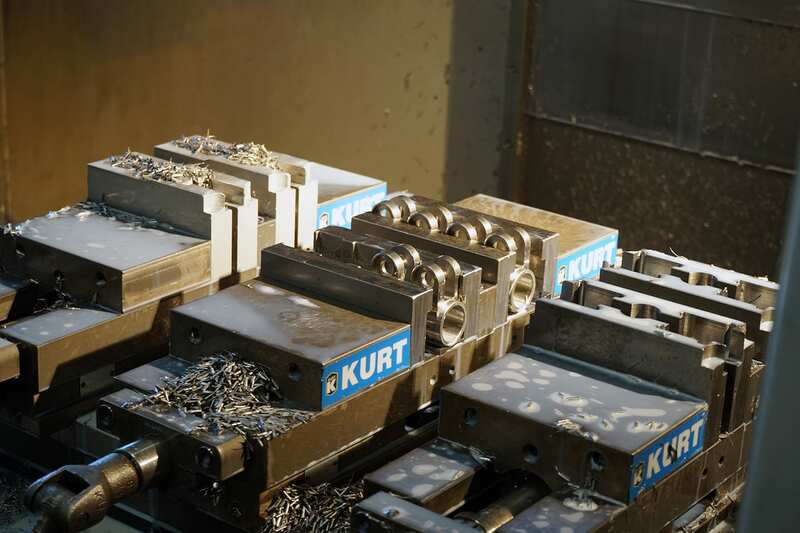 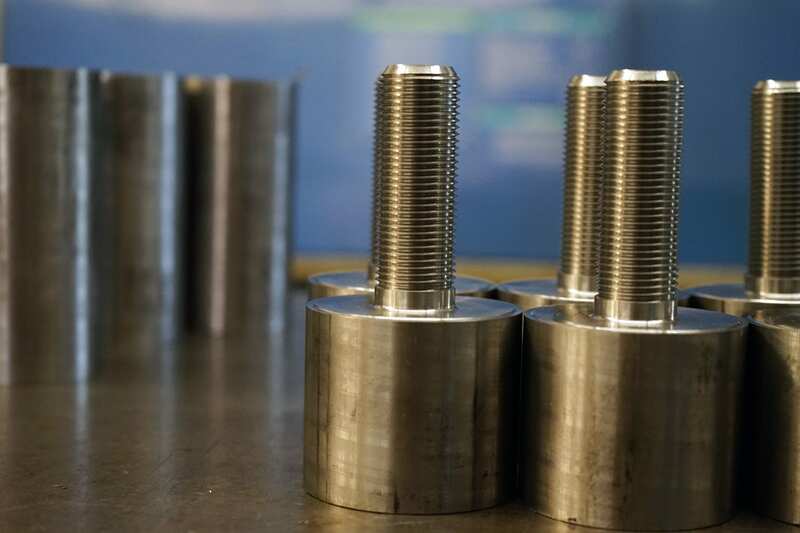 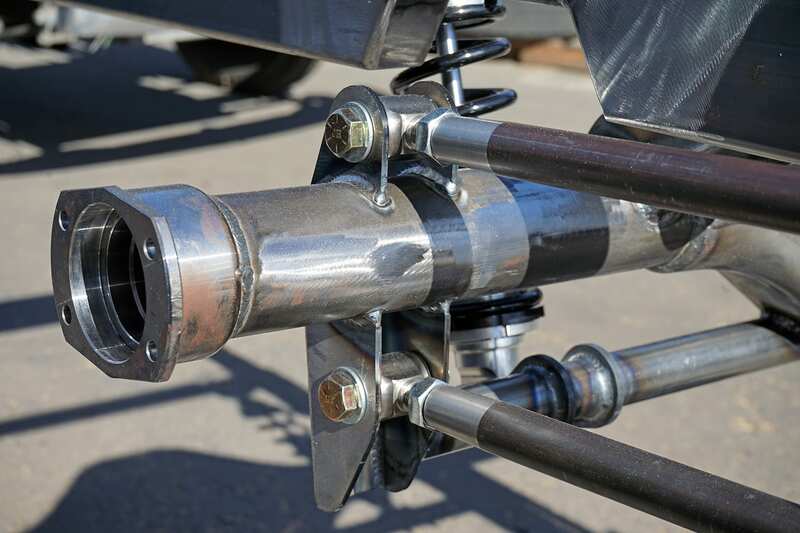 We manufacture as many of our chassis & suspension components that we are capable of doing in-house. 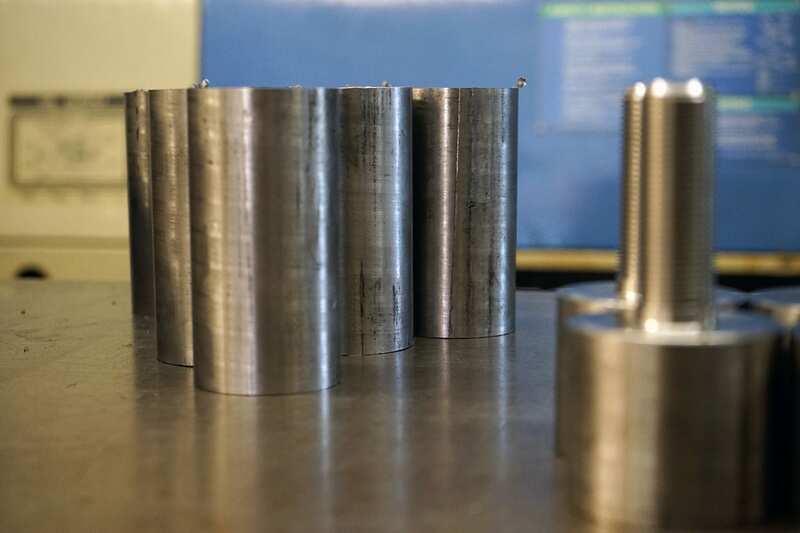 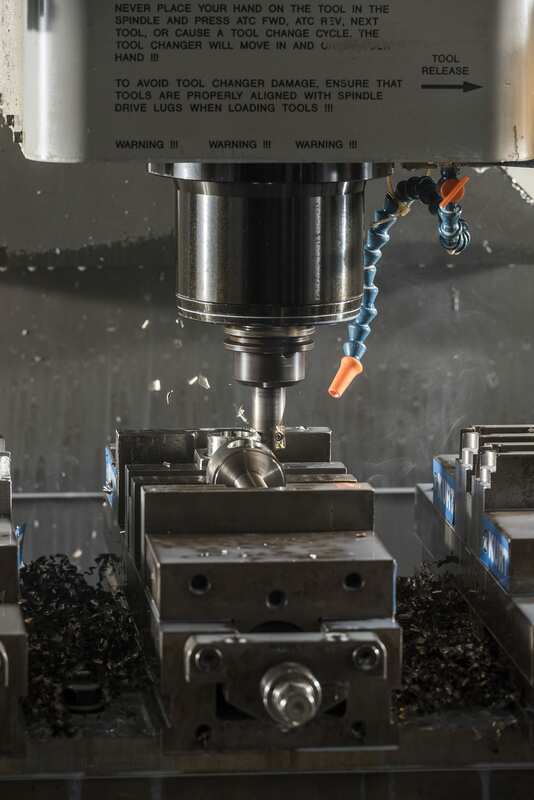 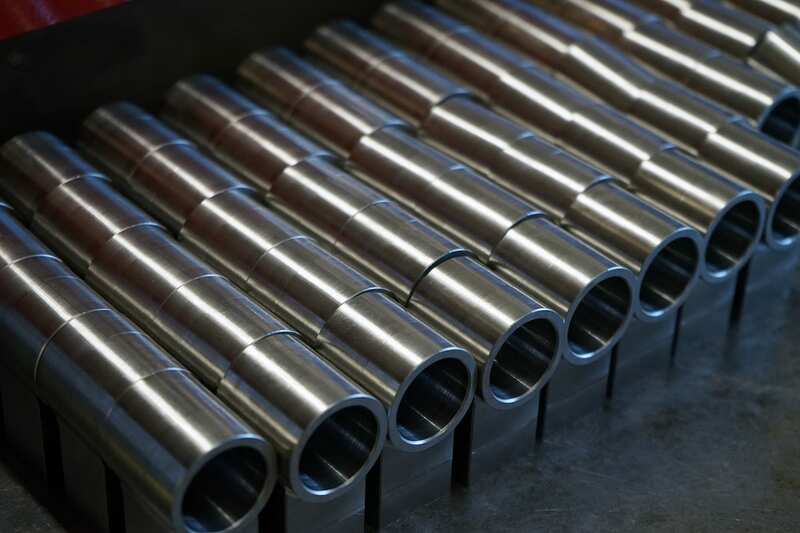 We have 2 CNC Mills & 2 CNC Lathes that are running 40-hours a week cutting stainless steel, steel and aluminum. 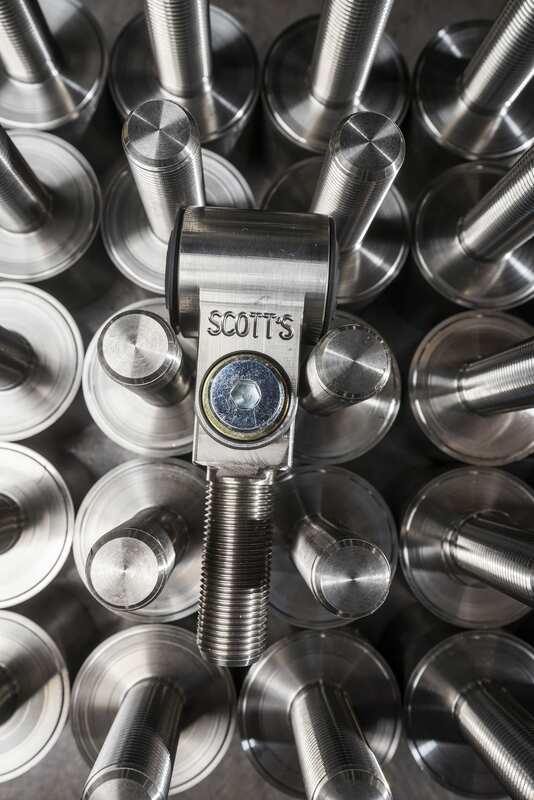 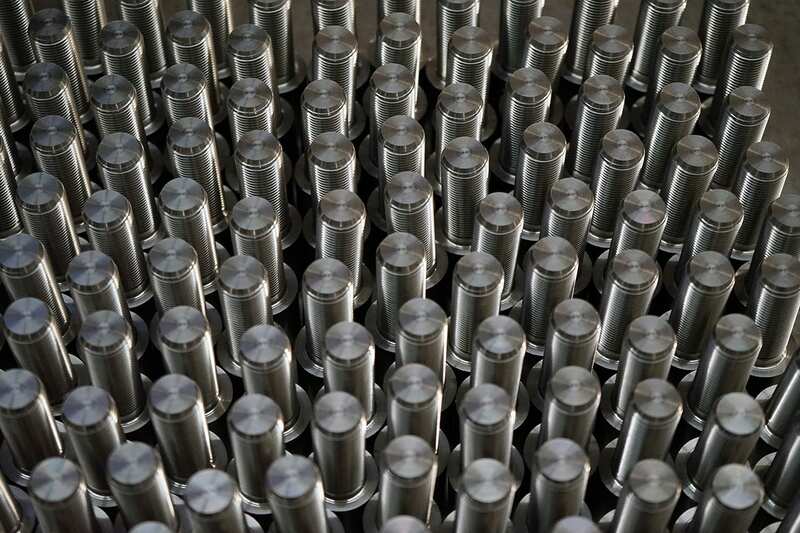 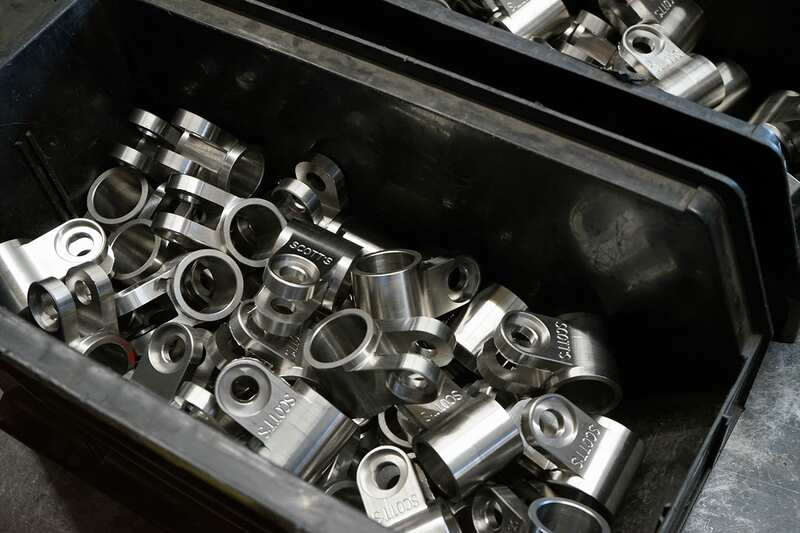 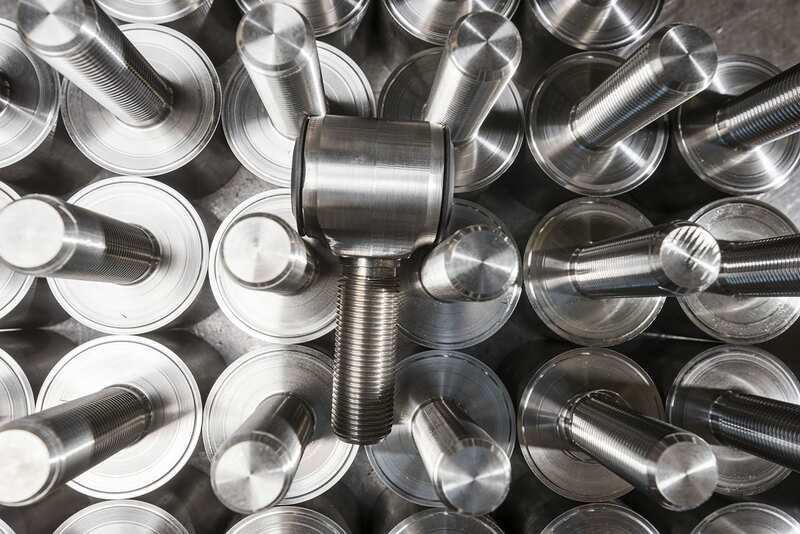 Scott’s Hotrods rod ends are 100% machined out of T-304 stainless steel in-house. 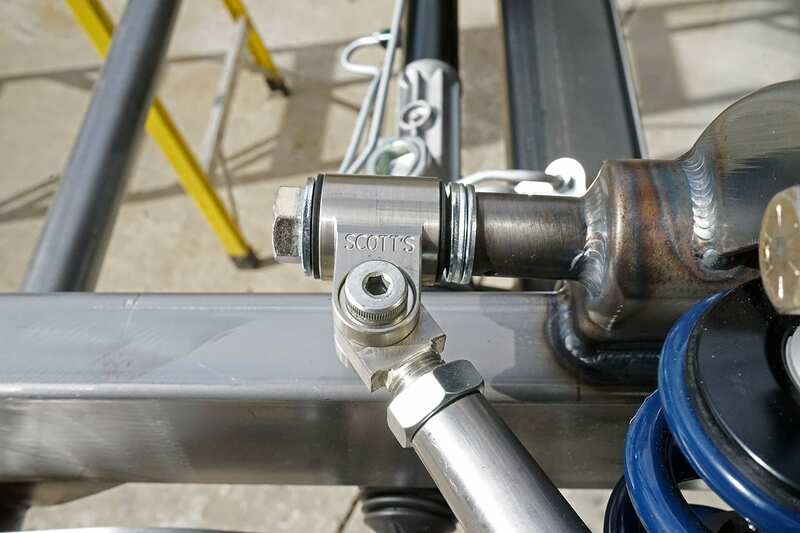 The swivel, branded Rod Ends are standard on all of our IFS and Chassis. 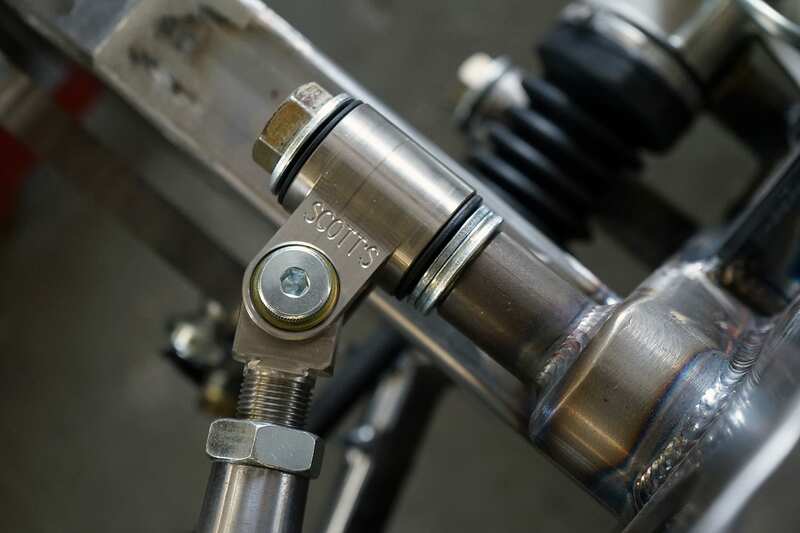 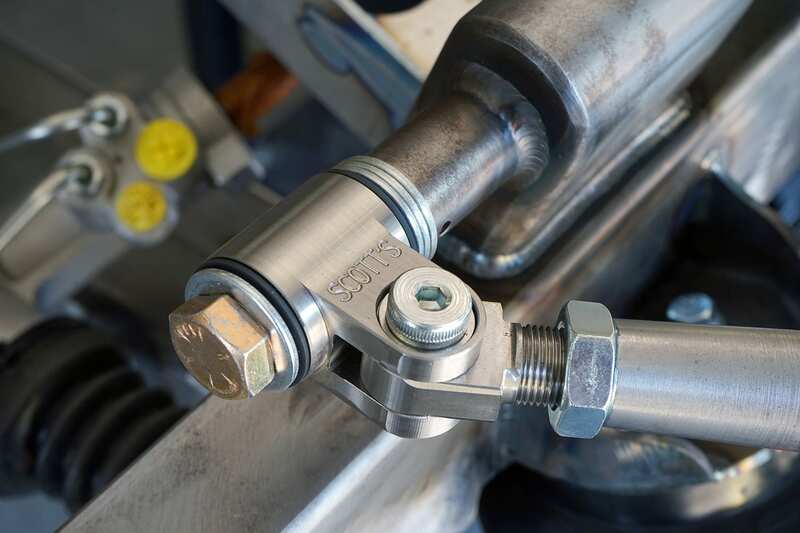 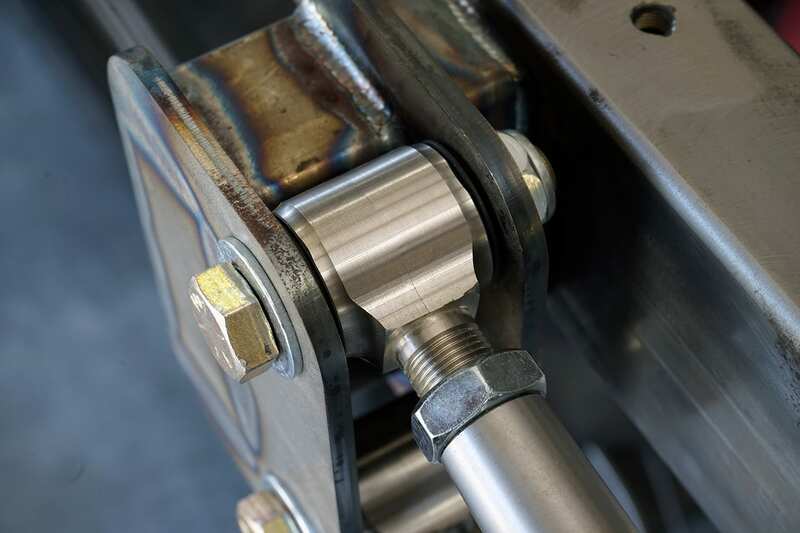 The RH- & LH-Thread Straight Rod Ends are standard on all of our 4-Bar and Chassis Rear Suspensions. 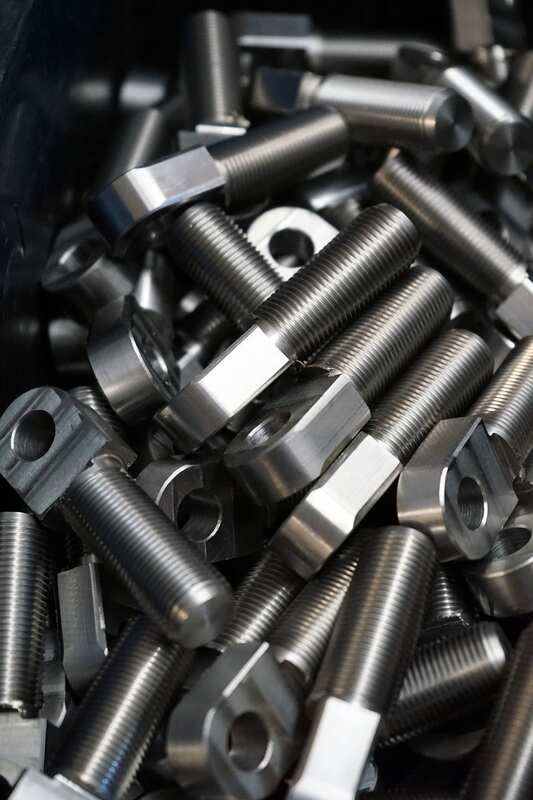 3/4″-16 Thread. 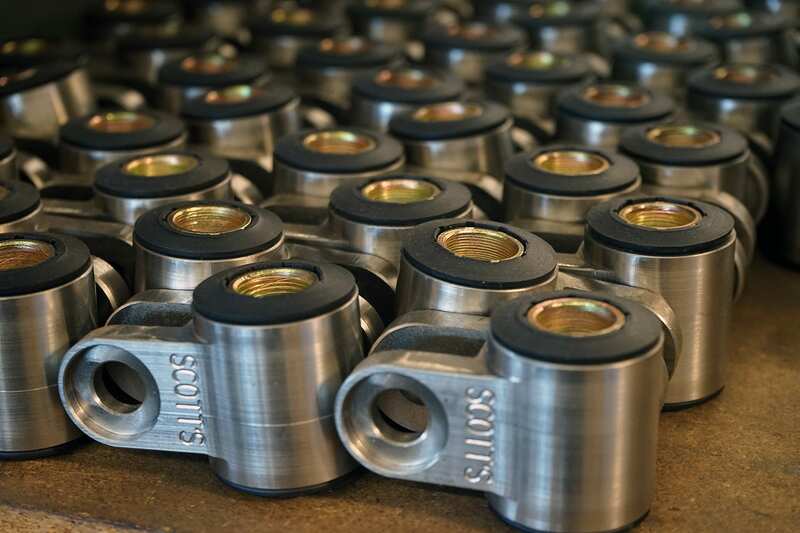 All of Scott’s Hotrods manufactured parts are guaranteed to be free of from manufacturers defects for the lifetime of the part. 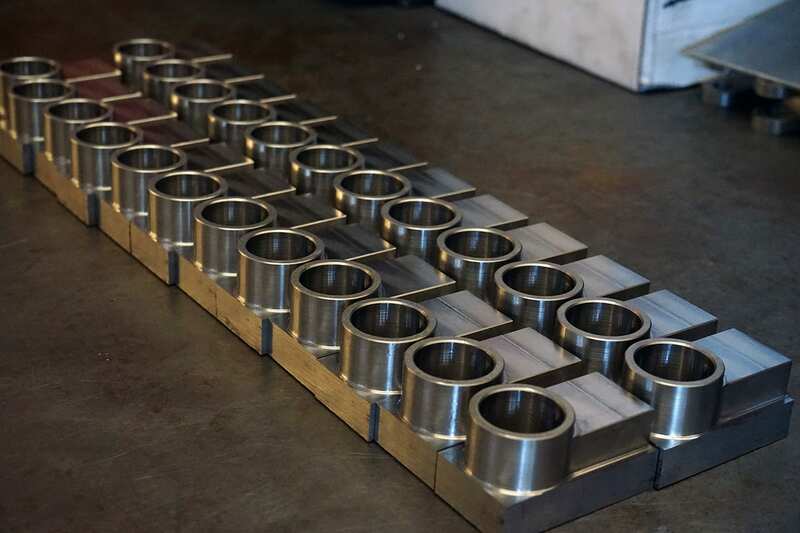 Warranty is non-transferable.